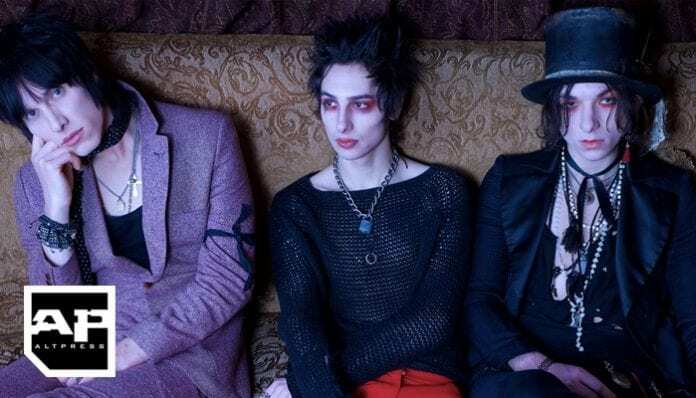 Palaye Royale's tour is "the last chance to see Side A and Side B ever played"
Palaye Royale recently dropped by the YouTube Space in Los Angeles for a special performance and interview. Check out the live video in full below. During the interview, the band discussed their upcoming record Boom Boom Room (Side B) and shared their favorite tracks. Palaye Royale also talked about what it was like shooting the album cover underwater, including a story about guitarist Sebastian Danzig trying to fix his hair in the pool. Plus, the band shared that their forthcoming Final Boom Tour is the end of the Boom Boom Room cycle and will be the last chance for fans to see songs off both Side A and Side B ever played. Boom Boom Room (Side B) will be available Sept. 28 via Sumerian Records. You can preorder your copy here. The band also kicks off their Final Boom Tour later this week. The run stars Sept. 22 in Hamburg, Germany and wraps up Dec. 2 in Pomona, CA. You can grab your tickets here. Previous articleMachine Gun Kelly, Eminem’s diss tracks produced by same person?